Home › Calendar › An Artist Embedded: "Voicing the Absent: Crafting History"
Historians try to describe past events as they really happened. They aim at faithful representation. Yet we cannot know what others feel and think, and so historians must always take license with their subjects. Historian Jane Kamensky, filmmaker Louis Massiah, and Ain Gordon will discuss how historians and artists handle this predicament. Ain Gordon, a three-time Obie Award winning writer/director, was John Simon Guggenheim Memorial Foundation Fellow in Playwriting, and the inaugural Visiting Artist at The Pew Center for Arts and Heritage. 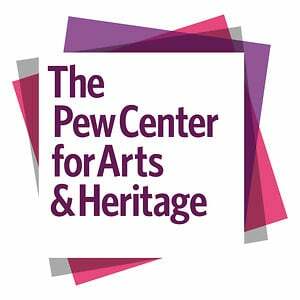 He is the “Embedded Artist” at the Historical Society of Pennsylvania, a project funded by a grant from the Pew Center for Arts and Heritage. He is doing historical research in the HSP archives for a new play debuting spring 2016. Dr. Jane Kamensky is the Mary Ann Lippitt Professor of American History at Brown University. She received her BA and PhD in History from Yale University. Kamensky authored The Exchange Artist: A Tale of High-Flying Speculation and America’s First Banking Collapse (Viking, 2008), a finalist for the 2009 George Washington Book Prize and the novel Blindspot, written jointly with Jill Lepore (Random House, 2008), a New York Times editor’s choice and Boston Globe bestseller. Louis Massiah is the founder and executive director of the Scribe Video Center. He graduated from Cornell University with a B.A., and from Massachusetts Institute of Technology with an M.S. in documentary filmmaking. He has been an artist-in-residence and on faculty at City College of New York, Princeton University, Ithaca College, the University of Pennsylvania, American University, Haverford College, and most recently at Swarthmore and Temple University.